Jeremy joined the Law Office of Allen Turek in 2000 and became a partner of Turek Roth LLP in 2004. Jeremy concentrates his practice on all areas of real estate law. He has an extensive client base and handles all types of commercial real estate transactions, including the purchase and sale of commercial properties throughout the United States, as well as the negotiation with lenders on the financing of these transactions. Jeremy is involved in the negotiation and drafting of commercial leases for his clients and closes on commercial mortgages for his commercial clients. In addition to his commercial work, Jeremy regularly handles residential closings involving cooperative apartments, condominium units and single and multi-family home closings. Jeremy is intimately involved in the day-to-day representation of numerous cooperative and condominium boards in the New York Metropolitan Area. 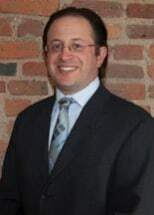 Jeremy received his law degree from New York Law School (1999) and his Bachelor of Science in Business and Economics from Lehigh University (1995). Jeremy is an active member of the New York State Bar Association, Real Property Division and the Committee on Cooperatives and Condominiums. Jeremy lives in New Jersey with his wife, his two daughters and son. Jeremy enjoys playing golf and tennis and is a avid fan of the Yankees, Giants and Knicks.